Sivani Mata is honoured to know lots of incredible inspiring people who share amazing offerings, here are some of amazing things upcoming with some of them as well as other recommended events (more to be added soon). Click the links for more information on each. Tribal Fusion Belly Dance Class with Hannah Mi Anis at The Urdang 2, Islington, N LONDON. 7pm - 8pm: Foundations, 8pm - 9pm: Intermediate and Beyond. Hannah Mi Anis teaches a unique dance style blending and weaving the energy and strength of Tribal Fusion with the elemental charge of Sacred Earth belly dance. Kirtan is chanting, a form of yoga for the voice done in a group accompanied by music. It requires no background or training, and is easily learnt. Repeating Sanskrit mantras creates a meditative and uplifted mental state, and helps to melt inhibitions that can suppress your voice and expression. You add your voice to those around you, creating a sense of harmony. www.rebellion.earth – Under our current system, we are headed for disaster. Catastrophic climate change will kill millions, cause food collapse, and render many more homeless. Mass extinction of wild species will lead to ecological collapse. Destruction of natural habitats will lead to genocide of indigenous peoples and the loss of our planet’s life support systems. It’s not too late to change course - a better future is possible. But governments are consistently failing to take the urgent and decisive action that will save us. If the system will not change, then we must change the system. It is our sacred duty to rebel in order to protect our homes, our future, and the future of all life on Earth. Are you yearning for a life changing journey into the heart; an adventure to the center of our beings? 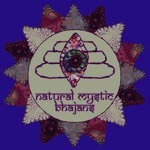 If so, please join us for Bhakti Bliss in Portugal! Gathering on the dramatic cliffs overlooking the sea, where south-western Europe sinks into the Atlantic, we will spend a week chanting, doing yoga, making music and dancing at this fantastic eco-retreat. 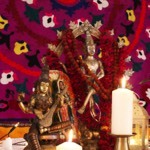 In a region enriched by powerful nature and fresh ocean air, amidst myths and tales of fishermen, sailors and pirates, we will explore the ancient practices of Bhakti Yoga and discover our very own epic love stories with the divine, weaving together our hearts and voices in celebration and invocation of Spirit. Layering traditional kirtan with instantly accessible melodies and modern instrumentation, American born Krishna Das shares call-and-response style kirtan around the world. The calls of the day are loud and demanding; responsibilities pull us right and left. How can we honour the world around us and our blessed life without ever letting go of the divine cord of love? Of course we are all humans and we forget God a thousand times a day but don’t worry. Let’s start with baby steps and, through patience and grace, begin to see all life as an expression of the divine play. For everyone who loves and practices kirtan (chanting the ecstatic songs of ancient India), this workshop will fuel your soul. International musician Jai Uttal will share and demystify some of the secrets of kirtan. We can all can sing, lead, and share our hearts with others. The practice of chanting can become our teacher, guiding us home. Navratri literally means nine nights and is a festival dedicated to the goddess Durga. Durga is the mother of the universe, feminine power at its peak expression, a fierce warrior, and the remover of obstacles and miseries. Daily SCHEDULE– 8.30: Arrival, 9am: Aarti, 10:30 am: Fire Ceremony, 12.30 pm: Lunch, 7 pm: Aarti (there will be no evening aarti on Sunday 14th April, we will finish after Lunch). Please contact Harisudha and Durga Das in advance if you’d like to come, for numbers for food and parking on 07891 781720 or email graeme.bailie@sky.com. This event is by donation and you are welcome to come a few days before to help with cleaning, outdoors work, painting - please phone HS beforehand. Uma offers a range of trainings, courses and workshops to meet women at every phase of life. Full trainings include the Pregnancy Yoga Teacher Training, Well Woman Yoga Therapy (Womb Yoga) Teacher Training, and Mum and Baby Yoga Teacher Training. As well as day workshops which respond specifically to Women’s health topics including yoga workshops on Menopause support, Creativity & Sexuality, Menstrual Health & Fertility, and Post-Natal & Peri-Menopause support amongst others. Awaken your consciousness of sleep and dream through the tantric practice of expanded awareness for lucid living. Become alive to the source of well-being, happiness and purpose in every dimension of life. The Total Yoga Nidra Foundation Weekend is a self-contained and complete retreat style immersion (non-residential) open to anyone with an interest in experiencing Total Yoga Nidra. It is both a standalone weekend course that covers all the fundamentals of Total Yoga Nidra, London and other locations. Heart warming yoga of Sanskrit chants and songs accompanied by Sarah on harmonium, baritone ukulele or drum and a range of visiting friends including Omar on drums and other musicians / instruments as available.